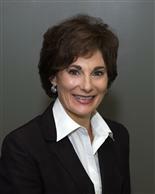 Deborah began her real estate career in 1987 as a leasing agent, property manager and investor. Deborah joined Lechner Realty Group, Inc. in 1997 and quickly became one of Lechner’s top agents with sales volume exceeding $20,000,000 in a 12 month period. In 2005, Deborah was appointed Vice President of Lechner Realty Group, Inc.
Deborah is a licensed real estate broker in the States of Missouri and Illinois.